I’m simply thrilled to share this extremely well researched guest-post on iron supplementation from Zawadi Sliepen. Zawadi is a digital designer located in Australia that specializes in learning content. For those of us that are visual learners and digest information most effectively if accompanied by brilliantly designed visual aid, when it comes to iron, this is the post you’ve been searching for. Before we dive into Zawadi’s post, I want to emphasize why understanding anemia is important when it comes to gluten intolerance and the particular type of damage gluten can wreak on the gut. For those of us with celiac, anemia can be a chronic problem, even long after gluten has been removed from the diet. I was first diagnosed with anemia at about the age of thirteen. Together with my concurrent symptoms, the anemia should have been a major clue to doctors that celiac was at play. Given my own experience, I consider iron deficiency to be the “ground zero” of symptoms for gluten intolerance. Iron deficiency will likely make itself known before upset stomachs and digestive problems. Unlike other more fluid symptoms like skin problems (with exception of Dermatitis Herpetiformis) and learning disabilities like ADHD or dyslexia, anemia can be a more concrete symptom to work with. Because intestinal damage in celiac sufferers tends to be most severe in the duodenum (NCBI), malabsorption is often first caught by the onset of anemia. This occurs because it’s that topmost section of the small intestine where the majority of bioavailable iron will absorb in a healthy gut. So in early stages of celiac, where most other nutrients are still sufficiently absorbed in the rest of the small and the large intestine, anemia can be a strong indicator that celiac should be ruled out. There are of course many other reasons and circumstances that lead to iron deficiency – it is a particularly difficult micromineral for your body to absorb and many diets are simply lacking in the nutrient. Zawadi touches on these issues and just about everything you need to understand in order to most effectively, and safely, supplement your diet with iron. Just remember that if you have celiac, taking a supplement may not yield sufficient results. Regardless off what your condition, if your physician has prescribed a particular type of iron, try it – but be sure to get tested after a three month trail. If your condition doesn’t improve, consider getting tested for celiac and use this post as a reference to select another variety for the next round. I need more iron, and it seems I’m not the only one. The box sizes are in proportion with the population of each group so you can see how massive the problem is. Women and children make up the bulk of cases. Chances are that you’re already aware of the consequences of low iron. The main ones being physical and mental fatigue that comes from not having enough iron, the crucial ingredient for dna, dopamine, white blood cells and hemoglobin for oxygen transport. It likely affects kids development and can have particularly negative consequences if you’re pregnant. Iron overload however can be worse. Iron can be a reactive little element when it isn’t properly bound, and can release free radicals which cause oxidative stress to tissues. For this reason our body tries to keep iron locked up in a stable form, however if we increase iron too quickly or over time saturate our normal ways of dealing with it then we end up with iron overload. Excess iron is stored in our organs, so long periods of high iron can cause nasty things like liver and pancreas damage, heart disease and reproductive problems. The people most at risk of iron overload are people with the genetic disorder hemochromatosis. This disorder causes the body to absorb too much iron from the diet and it is fairly common if you’re of Northern European ancestry — like 1 in every 200–300 people. Without this disease you’re not that likely to overload from food, but it can happen through accidental overdosing on iron supplements. Children are especially at risk of this. There is another thing to be aware of with iron. As much as we need iron to grow, so do microorganisms. People with a lot of free iron floating around are generally more susceptible to bacterial infections and other related diseases like diabetes, Alzeheimer’s and multiple sclerosis. Both iron deficiency and overload can make you tired (as well as lots of other things) so self diagnosis is definitely not recommended. The test is a simple blood test. The lab will indicate the healthy range, but here’s what the different measurements mean. 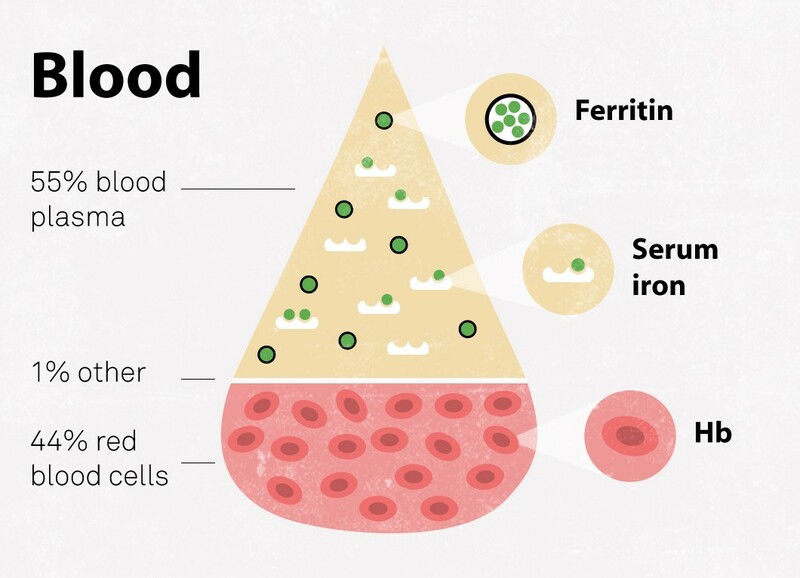 Only a fraction of the ferritin in your body is in the blood, but measuring this ferritin gives a good indication of your overall iron storage. Ferritin is the first iron to deplete so it‘s the early warning sign of iron deficiency. There are tester kits (1, 2) on the market where you can check your own ferritin levels. The amount of iron attached to transferrin is an indicator of how much iron is in your body. As well as measuring the serum iron, usually another test is done to check that transferrin is working properly (TIBC or direct transferrin test). Using these two tests you’re given Transferrin Saturation(TS)%. This measures the amount of hemoglobin in the blood which is needed to transport oxygen around the body. Low Hb is the final stage of iron deficiency and is an indicator for anemia. Low iron isn’t the only thing that causes anemia, which is why all the tests are needed for the full picture. It’s not so hard finding the iron content of things but determining bioavailability is a challenge. With all that uncertainty I guess it’s not surprising that there are so few figures on the bioavailability of iron in food. One figure bandied about is the bioavailability of heme iron which is often given as 10–35% . Note that heme makes up only part of the iron in meat and cooking and freezing can further reduce the heme. Source from here. I don’t like that it has no details on how they got the figures but it’s one of the only sources I could find. Plants contain only non-heme iron but aren’t any easier to figure out. In general they have a lower bioavailability than meat at somewhere between 1–15%. A difference of up to 15 times is quite a lot, and it’s due to the large effects of enhancers, inhibitors and cooking. The plant food types that have high bioavailaiblity are generally the ones that contain high amounts of natural acids. Ascorbic acid (also known as vitamin C) is the most effective enhancer, which helps iron by protecting the iron from inhibitors, keeping it soluble and in the ferrous state. Other natural acids like citric, malic, tartaric and lactic acid also enhance iron but to a lesser extent. How much acid is needed is often given as 20mg ascorbic acid for 3mg of iron, but that’s provided there aren’t too many inhibitors. With high amounts of inhibitors then double that is needed. The acids don’t help heme iron get absorbed, however meat tissue enhances all types of iron. This ‘meat factor’ isn’t fully understood, but its enhancing effect is less than ascorbic. One study found the effects of 30g muscle tissue to be equivalent to 25 mg ascorbic. These two enhancers aren’t additive, so if iron has been fully enhanced by acid, meat can’t enhance it further. Inhibitors form a compound with iron that stops it getting absorbed. Phytateis the main inhibitor of plant food which is found mostly in legumes and cereal grains. A bit annoying seeing as legumes are especially high in iron. Preparations like soaking, sprouting and fermenting can greatly reduce the phytate content and therefore increase their bioavailability. Polyphenols (used to be called vegetable tannins) are another category of inhibitors. They’re found in lots of tasty things like teas, coffee, red wine and cocoa. There are different types of polyphenols with different inhibitory strength, for example tea polyphenols inhibit more than coffee or wine ones. Certain proteins like whey and casein found in milk, and egg proteins inhibit non-heme iron. The protein in soy beans has also been found to inhibit iron. The last inhibitor usually cited is calcium, which unlike the others affects both heme and non-heme iron. There is debate around how much calcium affects iron directly, and how much it affects it by blocking phytates from releasing or due to the proteins it’s often taken with. So at this stage it’s a maybe. Looking for ways to get all your iron needs from food is ideal, but if it’s not happening for you or you need a quick boost then supplements are a proven option. Comparing the bioavailability of supplements is a lot more difficult than I anticipated. In addition to all the problems with measuring bioavailability listed above, supplements don’t require any clinical trials to test their effectiveness. There is so little relevant data especially on the newer iron types. Rather than skip this important comparison, I’ve put the data I found into a best approximation. So treat this as such and check out my source documents if you’d like to see what clinical trials were used. Throughout I’m always comparing the elemental weight of iron in each supplment. This is the weight of Fe, not the weight of the whole compound. Reference document for price and toxicity. Bioavailability and side effect references are separated into the supplements and attached below. Ferrous sulfate (also spelt sulphate) is the most common iron supplement, and for good reason. It’s very soluble so it’s fast working, it has good bioavailability and is the cheapest form. When overall bioavailability has been measured for ferrous sulphate it seems around the 20% mark, but going up towards 40% for anemic people and with enhancers, and towards zero for people with sufficient iron and inhibitors present. Most studies use relative bioavailability (RBV) as a measurement in order to cancel out some of the fluctuations, in which case sulfate is the reference and is set at 100%. The usual complaint with sulfate is due to it being quite reactive. Like all the ferrous salts it’s mostly fine at low doses, but at high amounts it may cause stomach irritation. Taking it with food can lessen the irritation but this isn’t recommended because of the wide range of inhibitors that affect it. Instead smaller doses more often, or a smaller dose with enhancers seems to be the way to go. Another thing to keep in mind is its higher toxicity. This is generally fine for adults, but a fair amount of children each year are poisoned by accidental iron overdose. Ferrous gluconate is a soluble iron salt that seems to be less bioavailable than ferrous sulfate but not by much — like around 90% of sulfate levels. When comparing the same dose, there weren’t any reported differences in side effects between gluconate and sulfate. Supplement doses tend to be smaller in gluconate though, which could be why it is viewed as gentler on the stomach. Especially in formulations like Floradix which people talk about being gentle on the stomach, the amount of gluconate is only 10mg per serving. Like the other iron salts, gluconate is prone to the effects of enhancers and inhibitors so care needs to be taken with what it’s consumed with. Ferrous fumarate is the least soluble out of these ferrous salts. This means it’s a little more reliant on gastric acid to dissolve and takes a little longer to absorb. Ferrous fumarate is often referred to as having less bioavailability than sulfate and gentler on the stomach. This makes sense due to its lower solubility, but I haven’t found the studies to back that up. Most rate its bioavailability and side effects the same as sulfate. Inhibitors and enhancers affect it, but one thing to note is that unlike sulfate, it isn’t enhanced by Na2EDTA. Na2EDTA is often added to processed foods to stop oxidation, so that’s one source of enhancers that fumarate misses out on. There aren’t many studies on this iron salt despite it being around in the 50’s, so I left it off the chart but it’s worth a mention. It tends to get used in combination supplements rather than on it’s own which might have to do to with its fairly low solubility. One study put its bioavailability relative to sulfate as 92% in tablet, and 122% in liquid. So pretty good and maybe more bioavailable than sulfate in liquid form. The problem is the lack of information on it. People report ferrous succinate as being gentler on the stomach compared to sulfate which makes sense for a less soluble form, but I haven’t seen any data to back that up. FeBC is a type of iron amino acid chelate with a structure of one molecule of iron bound by two molecules of glycine. There are other types of iron amino acid chelates but FeBC is the main one, often going by the brand name of Ferrochel®. It’s a very soluble and stable form of iron, so compared to sulfate it’s less likely to cause irritation during digestion. It is still affected by inhibitors, but this is estimated at about half as much as sulfate. Most studies conclude its bioavailability is the same as sulfate either at the same dose or at half the dose. Not sure why the lower does the same job, but it implies that it could have a higher bioavailability. It needs more studies to confirm this. Ferritin is what we and nearly all organisms use to store iron. It’s a protein with an “iron core” of up to 4500 ferric iron molecules inside. Although ferritin can come from both plant and animal sources, bovine ferritin is what is used most in studies. The number of ferric molecules inside ferritin can vary, and animal sources tend to have higher concentrations compared to plant sources. 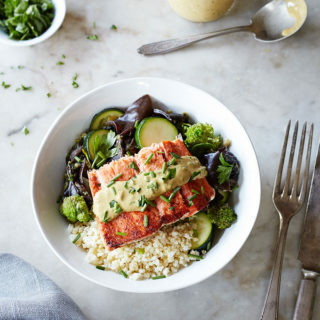 It was originally thought that all the ferritin we consume is absorbed in the normal non-heme way, where the protein opens up during digestion and the ferric iron is released. Many studies have now shown that as well as this method of absorption it also has its own pathway where it can get absorbed into intestinal cells whole. Which of these two pathways ferritin takes seems to depend on the conditions of the stomach such as gastric acids and stomach pH. If the ferritin stays whole through digestion then inhibitors don’t affect it. Unlike all other non-heme iron, ascorbic acid seems to have a negative effect on it unless it is enteric coated. There is a bit of a divide with studies measuring the bioavailability of ferritin. Older studies that use extrinsic labeling put the bioavailability quite low. Newer studies use intrinsic labeling which claim to be more accurate, and show that ferritin has the same bioavailability as ferrous sulfate. So ferritin seems like it could be a pretty good source of iron, but there are few commercial supplements of it. Infact I could only find one expensive product that has little information about it. How this supplement compares to ferritin in existing studies is unknown. In terms of side effects, there are few studies on it but it is generally considered to have low side effects which makes sense due to its stable structure and naturally slow release. Iron Protein Succinylate (sometimes called ITF282) is a form of ferric iron bound to milk protein. This protein casing protects it from being solubilised in the stomach, and instead it opens up in the intestines. This translates into good tolerability, and studies tend to put it at around half the side effects of sulfate. In terms of its bioavailability, it’s generally put at a little less than ferrous sulfate. Interestingly, a couple of studies show it overtaking sulfate in effectiveness after prolonged use. It is speculated that this could be because it causes less irritation, which is known to inhibit future absorption. There’s not much information about how it’s affected by inhibitors and enhancers, but it would make sense that it would be affected less while in the stomach, and when the ferric iron has been released it would be acted on in the usual way. There are different types of Polysaccharide Iron Complex, but generally this complex is made from a carbohydrate and ferric iron. Like the other larger synthetic complexes, the idea is that the carbohydrate stabilizes the iron while it’s in the stomach so it is less likely to react and cause irritation. Once in the small intestines it releases the ferric iron so it can be converted to ferrous iron and absorbed. That’s the idea, but it’s hard to say how well it does this due to a lack of good studies on it. It appears that its bioavailability is a bit less than ferrous sulfate and that it has less negative side effects. There’s not much information on the enhancers and inhibitors, but it seems like they affect it a bit less than sulfate. Carbonyl is a highly purified form of iron. The difference between it and other elemental iron powders isn’t the iron but rather the manufacturing process and in particular the size of iron particles. Carbonyl is the most bioavailable of all the iron powders, but when compared against ferrous sulfate it is generally considered around 75% as bioavailable. Carbonyl needs stomach gastric acids to solubilize it before it can be absorbed which makes it quite susceptible to the negative effects of food. Wheat especially seems to decimate its absorption. This requirement of gastric acids means that it is naturally slowly released, which makes it very safe and also translates into low gastro side effects. In studies for children it seems to do a bit better than adults, which is probably due to the smaller dose and/or differences in gastric acids. As well as the safety aspect, another feature that could make it appealing as a choice for children is the small pill size and its availability in a chewable form. HIP is classified as a medical food rather than a supplement, but I think it’s worth lumping it with the rest for comparison. The heme iron in HIP generally comes from bovine hemoglobin, although it is possible to get heme iron from plant sources like soy. Unlike all the other supplements, it gets absorbed through the heme pathway which means that it stays whole through digestion and isn’t affected by most of the enhancers and inhibitors. Its only enhancer is meat tissue, and it is possibly inhibited by calcium. Because HIP isn’t that affected by inhibitors, it’s easy to get wildly different results when comparing it against other supplements depending on what food it’s taken with. From looking at the small selection of studies on it, I’d put it about twice as bioavailable as ferrous sulfate but that’s just a best guess. So HIP seems to be an effective supplement with the flexibility of being able to be taken with food and with low levels of side effects. The negatives are that it’s expensive and there is a lack of studies on the commercial HIP products. They may perform differently to the HIP in the studies. I really wanted to add intravenous iron to the chart but it wouldn’t quite squish into the same comparison categories. IV isn’t a type of iron but rather the method of injecting iron directly into the blood stream. This has the bonus of bypassing the whole gastric system, so in terms of gastric side effects it’s about zero. Bioavailability is really high because it’s absorbed straight into the bloodstream and therefore it also can’t react with any food. Sounds pretty awesome except like everything there are some big downsides. One, as mentioned previously is the risk of having too much iron floating around in your body. This risk doesn’t seem too high if you’re low on iron and without a high risk of infection, but we don’t fully know what effects there could be from big spikes in our bodies iron levels. As a precaution it is not recommended during the first trimester of pregnancy. The other big downside is the price to adminster and the cost of the iron formulae. The price of administering IV iron is coming down due to advances in IV iron formulas. Older types were suitable only for multiple small dose injections or else large dose infusions that needed a lengthy hospital visit. Newer formulas can be given by one quick high dose injection from your GP. The other side of price is the cost of the iron formula, which is surprisingly high. The newer formulas that are easier to administer seem to be priced in the $US 80–300 mark for 1,000mg of iron. 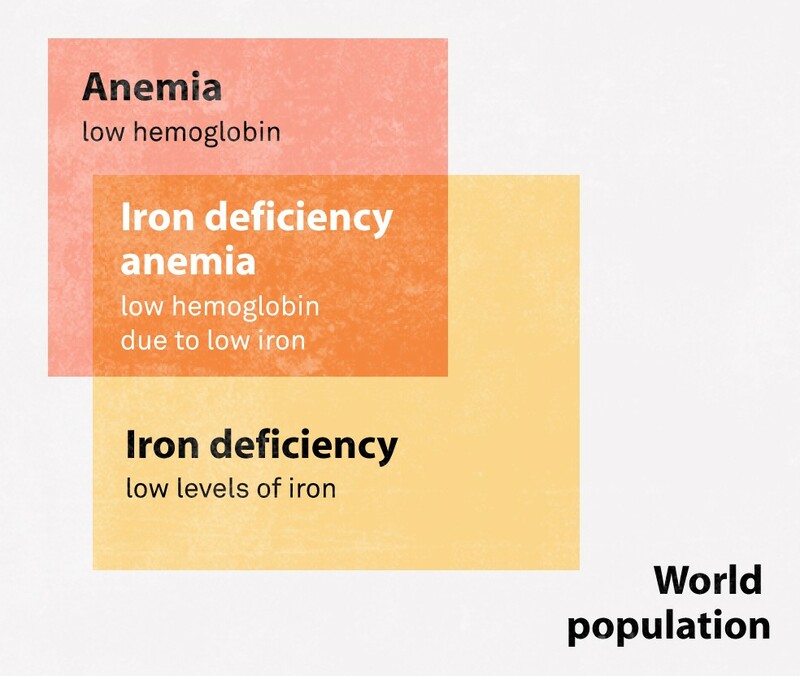 It doesn’t seem like an efficient way of tackling iron deficiency except for urgent cases or patients that aren’t responding to other methods. That could change though if prices come down. Lactoferrin is an interesting protein and worth a mention because it has been shown to increase iron levels. It’s primarily found in human milk but there is also a similar version of it in cows’ milk. It can bind strongly to two molecules of ferric iron and has a direct pathway into our intestinal cells in a similar way that heme and ferritin does. It also has extremely low side effects, so you’d think it would be a good iron supplement but there is more to it. Seeing as it strongly attracts iron, if we take it in its depleted form then rather than give us iron it can scavenge iron from our bodies. This can be a good thing because it can take free iron away from bacteria. In fact this is one of the great things about lactoferrin, it has been shown to have lots of anti-microbial and anti-inflammatory properties. The debate around lactoferrin is whether the increase in iron levels that we see (about the same increase as ferrous sulfate) is due to lactoferrin giving iron or its ability to reduce inflammation. It seems like it’s more to do with its anti-bacterial properties and generally it’s recommended not to be taken by itself for iron deficiency but possibly with other iron. Most lactoferrin supplements are in the depleted iron form, so potentially if you could get it in its iron bound form it could increase iron but more studies are required. 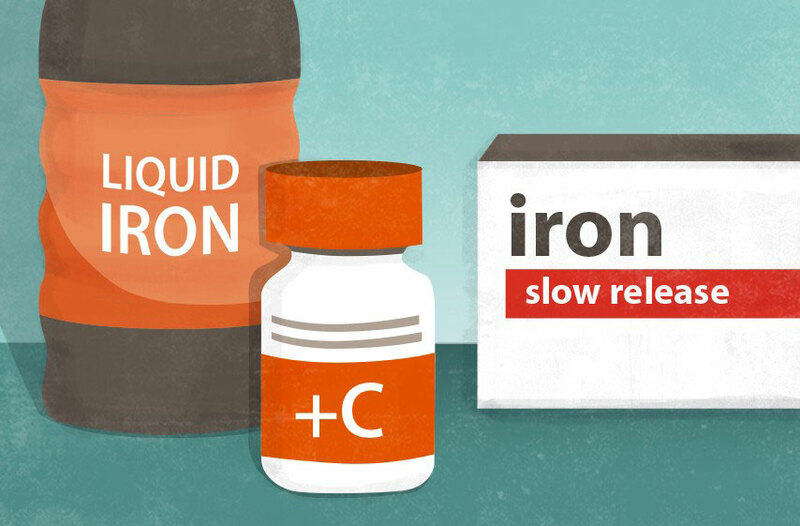 For those susceptible to iron overload, it could be worth looking into. Slow release tablets generally refer to an enteric coating which keeps the tablet together in the acidic conditions of the stomach and then breaks down in the non-acidic intestines. Sounds good in theory but not so impressive in studies. The main slow release iron that has been tested is ferrous sulfate. The general consensus is that it may be gentler on the stomach, but this is due to not all of the iron getting released in time. So basically you’re getting less iron and may as well just take a smaller dose of normal ferrous sulfate and save yourself some money. The UK health board recommend that the NHS don’t prescribe it and the following in-vitro study put the bioavailability of Ferrograd C at 71% of normal ferrous sulfate. That’s pretty low considering Ferrograd C as well as being enteric coated has the enhancer ascorbic acid too. Cooking in cast iron pans has been proven in several studies (1)(2) to increase iron levels for those that eat from it. Rather than comparing it against other supplements they compare it against other types of pans so it’s hard to know how it stacks up to ferrous sulfate, but the increases in Hb and ferritin make it seem equivalent to a low dose supplement. It is especially effective when acidic foods are cooked in it. Foods with little acidity like legumes it doesn’t do much for. A similar idea to cast iron pans is iron-rich water like the type Spatone® sell. The only studies I can find on it are the three that Spatone have paid for. All three have small sample sizes and don’t compare it against another type of iron. I’ve read enough trials to know that this isn’t normal practice. A Spatone sachet contains a tiny 5mg of ferrous sulfate at a high cost. I have no doubt that they’re gentle on the stomach considering the small amount of iron in them, I’m just unconvinced that they’re any different than taking small amounts of ferrous sulfate which is a very soluble form of iron anyway. Until a proper trial is done, money might be better spent making your own iron water with one of these fishies. If you’re wondering what type of iron is added to food as fortification, the answer is it could be one of many like ferrous sulfate, ferrous fumarate, ferric pyrophosphate, and electrolytic iron powders. While bioavailability and side effects are most important for supplements, iron for fortification has the priority of not discoloring or causing rancidity to the food. For this reason fortification iron tends to be less soluble unless it’s going into dry goods with a quick turnover. Less soluble iron usually means less bioavailability however, and often cheap elemental iron powders are used which the WHO don’t recommend due to their low bioavailability. If you want to check out the iron that the WHO recommend for different products see their list in the link above. But why are so many people low in iron? Surprisingly this key question seems to have the least amount of research on it. Putting global iron deficiency down to things like plant based diets, pregnancy, menstruation and childrens growth seems simplistic. We’ve been doing those things a long time, have we always been iron deficient? Here are a couple of my thoughts. The food we eat may have less iron then in the past. Articles like this one talk about soil depletion and the use of fast growing varieties that have less time to acquire minerals and vitamins. Also the way we eat food is a likely contributor. Processing, cooking and storing food destroys good iron enhancing acids. Even more reason to add more fresh and raw foods to the diet. It’s well known that certain chronic diseases trigger inflammation which reduce our iron absorption. We do this as a defence mechanism in order to stop harmful micro-organisms from using the iron themselves. Inflammation can happen without chronic disease too. One third of people with irritable bowel syndrome (IBS) suffer from anemia. So inflammation of various kinds can stop us absorbing iron. Many studies show the link between stress and IBS and other forms of inflammation. So all the links are there, but somehow stress is seldom discussed in relation to iron deficiency. Maybe it comes down to the gapping hole in the health system when it comes to dealing with the mind, but that doesn’t mean it’s not a valid area to look into for your own answers. Being low in iron is crap, and supplements do work. If you decide to use them to boost your iron then don’t worry too much about the type, but instead focus on a dose that works for you and what you take it with. Once you’re feeling better, try to figure out the reason you’re low. As well as any cause your doctor suggests, diet, inflammation, and stress are good areas to look into. Illustrations and featured content courtesy of Zawadi Sliepen.